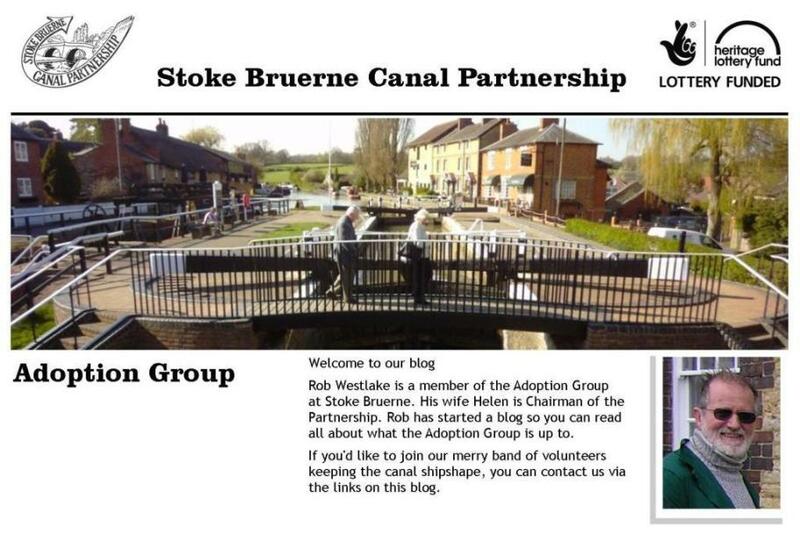 Stoke Bruerne Canal Partnership: An architectural find! A 'normal' adoption day yesterday with one 'team' continuing with the offside cutback between the top lock and the tunnel portal. The second team attacked the ivy at Lock 15 in an attempt to eventually open up the side ponds for demonstration purposes now the trees at the back of the side ponds have been felled. 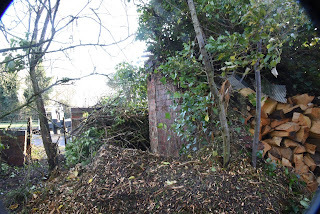 The exciting bit of the day was uncovering a little of the 'shop' that the late David Blagrove always said was there - it's in remarkably good condition. Such a shame that David (who died in August-2016) was not there to share the 'excitement' of uncovering something he always knew was there, but I did have the opportunity to discuss it with his widow, Jean, last night. Some more interpretation is needed I suspect.